This was an interview with Associate Professor Thang Leng Leng from the Department of Japanese Studies at the NUS Faculty of Arts and Social Sciences, who is also Deputy Director of the Centre for Family and Population Research at NUS. Assoc Prof Thang discussed the issue of familial care for aged parents. She noted that children who have aged parents at home can make plans for their care by discussing the best approaches with their siblings, and added that the elderly can also let their children know in advance, the kind of care they would prefer. This was a profile on NUS economics undergraduate Mr Nicholas Tan Wei Hong, who is a rookie trader. Mr Tan shared how his past trading mistakes have turned him into the consistent trader that he is today. Mr Tan started “live’ trading in May last year and, in the first few months, tripled his initial capital of $6,000 through forex trading. He now consistently makes about 10 per cent monthly. 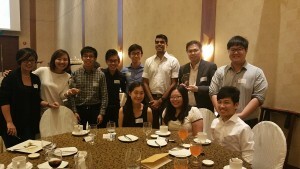 It was reported that the Asia Pacific Breweries (APB) Foundation Scholarship for Persons with Disabilities was awarded to three undergraduates, namely Ms Sarah Lim and Ms Teo Zi Lin, both from NUS Faculty of Arts and Social Sciences and Mr Joshua Ong from NTU. The scholarship, which is worth S$12,000 per annum, provides financial support for the students during the course of their undergraduate studies. FASS won the Top Achievement Award and Leap Award in this year’s Inter-faculty competition for the annual Commencement Class Giving campaign. The awards give recognition to the Faculty for the overall participation rate and the biggest improvement in participation rate of our undergraduate and postgraduate students respectively. This is the first time since the competition started in 2011 that FASS has won the Top Achievement Award for attaining the highest participation rate among faculties with over 1,200 graduating students. The annual giving campaign is an initiative by NUS Development Office (DVO) that runs across the campus in a spirit of friendly competition to inspire commencing students to support bursaries or student programmes for their juniors. It is a collaborative effort with the External Relations and Student Life Division (ERSL) at the faculty. It is heartening to see an increasing number of Class Champions over the past few years. The Champions has made great and worthwhile effort to encourage their cohort to raise funds for the FASS Student Advancement Bursary in the midst of their own honours theses and assignments. These Class Champions will assume the role of Class Ambassadors after their graduation, and we look forward to continue working with them to enhance the connectivity among the alumni as well as with FASS. Congratulations to our IFG 2016 FASS Participants! Congratulations to the FASS Inter-Faculty Games 2016 participants for the excellent finish! They clinched second position overall and achieving a total score just one point short of the winning Faculty. In addition, they came in first place for seven events—including Men’s Volleyball, Women’s Handball, Table Tennis and even DOTA (a multiplayer battle arena video game)! We are very proud of the enthusiasm and initiative they put into representing the Faculty in the sport/game they excel at, and greatly appreciate the hard work they have put in towards this achievement. Click here for the full list of IFG 2016 results. 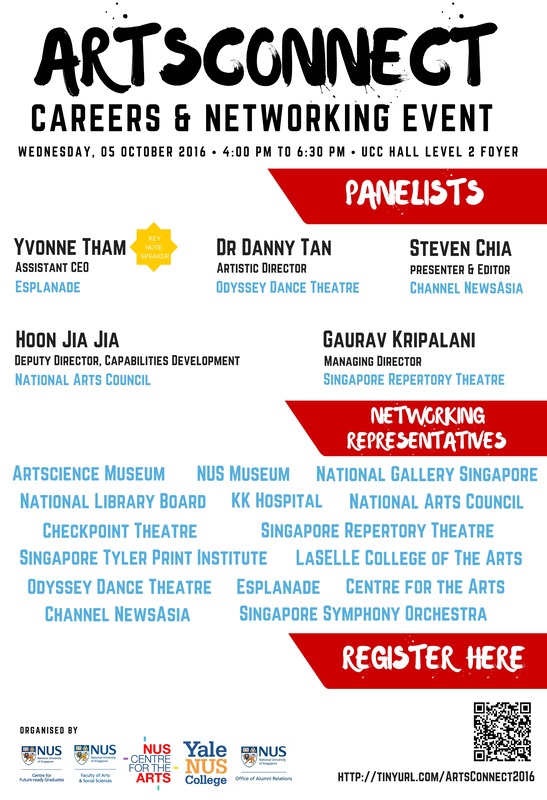 ARTS Connect: Sign up now to attend panel discussion and networking with prominent and experienced arts professionals. SIGN UP HERE. It was reported that the Department of Malay Studies from the NUS Faculty of Arts and Social Sciences and the Malay Heritage Centre had organised a lecture titled ‘Romantic Language: The Poetry World in Religious Writings’, which was delivered by Mr Achmad Ubaidullah, a writer from Indonesia on 30 July. The lecture is part of the Al-Bustan lecture series. Click here to read article in Malay. 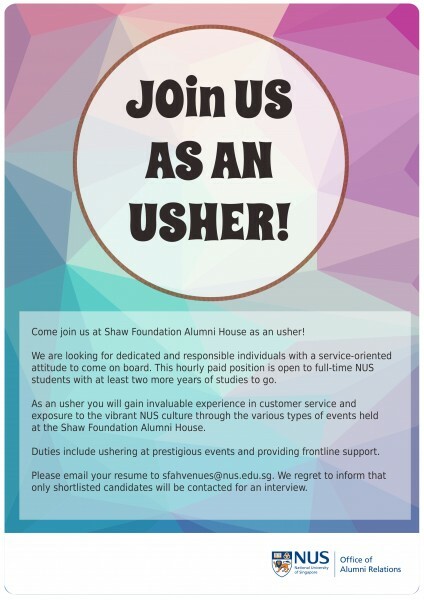 Join us as an usher! This was an article contribution by Dr Eric Fesselmeyer, and Associate Professor Liu Haoming from the Department of Economics at NUS Faculty of Arts and Social Sciences, in which they discussed whether households would benefit from an expansion of the MRT system even if they already live near a station. They shared findings from their recent research which explored a previously unmeasured benefit of public transit systems using Housing Board resale price data. Using a statistical approach called difference-in-differences, they observed that the added benefits of a new transit line to housing already near a station are non-trivial and should be included in the cost-benefit analysis of public transit systems. They opined that this has important policy implications because correctly measuring total benefits ensures that investment projects that provide net benefits to society are undertaken. They highlighted that otherwise, it is possible that such projects are rejected because their benefits are underestimated.